Organized by GI/ITG Technical Committee on "Measurement, Modelling and Evaluation of Computing Systems (MMB)"
Yuliya Butkova, Ralf Wimmer, Holger Hermanns: Markov Automata on Discount! Abstract: The prevalence of IoT is driven by industrial requirements and scales, but also by community curiosity and tinkering in participatory crowdsensing endeavours. This tutorial first explores the practical requirements and options of modern IoT appliances and projects, including all aspects of the diverse stack, from PHY to application. With that as base, traffic models can now be derived and evaluated for these IoT topologies that might provide a better fit than traditional approaches. Abstract: Modern tools to measure Internet traffic such as Wireshark or Atheris offer complex opportunities to collect packet data from high speed networks. Advanced statistical methods are required to support an adequate teletraffic analysis of these traces and the evaluation of relevant performance indices, for instance, of captured packet flows stemming from new multimedia services in Internet. They allow us to cope with immanent dependencies and underlying heavy-tailed distributions of interesting features of the traffic such as the bitrates, volumes or lengths of sessions, the inter-arrival times, loss rates and delay distributions of the packet streams or their equivalent bandwidth. In the tutorial we shall discuss useful statistical techniques to handle the arising strongly correlated or long-range dependent time series and heavy-tailed marginal distributions. The latter features characterize the underlying random variables of the observed data. Advanced procedures to compute the demanded bandwidth of observed streams or the delay-loss profiles of packet flows during a session will be stated. The analysis concepts will be illustrated by real traces arising from some popular Internet applications. The tutorial shall stimulate the participants to incorporate adaptations of the sketched statistical procedures into open source tools or their own codes according to their personal needs. Probabilistic Programming: Quantitative Modeling for the Masses? Abstract: Probabilistic programming combines probability theory, statistics and -- most importantly from a modeling point of view —- programming languages. They allow to model a much larger class of models in a rather succinct manner. The full potential of modern probabilistic programming languages comes from automating the process of inferring unobserved variables in the model conditioned on observed data. As some researchers put it: “The goal of probabilistic programming is to enable probabilistic modeling and machine learning to be accessible to the working programmer." Probabilistic programs steer autonomous robots, are at the heart of security mechanisms, encompass randomised algorithms, and are used in AI to infer statistical conclusions about huge amounts of uncertain data. In this talk, I will introduce the main concepts of probabilistic programming, and discuss how classical program verification a la Dijkstra can be used to answer questions such as: Do these programs compute what one expects them to do? Do they terminate at all? With what probability? How much resources do they consume? Applications to Bayesian networks will show how insightful information about analysing such networks can be obtained in a fully automated manner by using program verification. Curriculum Vitae (Prof. Dr. Joost-Pieter Katoen): Joost-Pieter Katoen is a Distinguished Professor at the RWTH Aachen University, Aachen, Germany, and holds a part-time professorship at the University of Twente, The Netherlands. He received a honorary doctorate degree from Aalborg University, Denmark in 2017. His research interests include formal methods, model checking, concurrency theory, and probabilistic computation. He co-authored more than 190 conference papers, 75 journal papers, and the book on “Principles of Model Checking. Joost-Pieter Katoen is the Chairman of the steering committee of ETAPS, and steering committee member of CONCUR, QEST, and FORMATS. Since 2013, he is a member of Academia Europaea. Abstract: The energy system is one of the most critical infrastructures of our world. The reliable supply of energy is essential for the adequate operation of almost any process in our private and professional life. Society and industry would suffer enormously, if the steady balance between demand and supply could not be guaranteed. The current transition towards energy from renewable sources is having tremendous effects on this well-established infrastructure. In particular, the restricted capabilities of controlling the supply of electricity from weather-dependent energy sources leads to the need for an essential change in one of the basic principles of the electric power system, which means that it will no longer be feasible to let the power supply follow the demand but there will be a strong need to let the demand follow the supply. This can only be achieved by discovering and exploiting the potential of flexibility of demand and supply in the best possible way. The talk will illustrate how the major challenges of the ongoing energy transition create the need for an adequately designed energy information and control network with distributed intelligence. A fundamental task in the design of this network consists of making the necessary information available to the locations where operating and control decisions have to be taken and to provide appropriate methodology for managing tomorrow’s energy system in the most efficient and most reliable way. In particular, an assessment of the potential contribution of flexibility in demand and supply to guaranteeing the necessary stability and resilience needs appropriate modelling and simulation, based on effective strategies for measuring the current status and behaviour of relevant grid components. Curriculum Vitae (Dr. Hartmut Schmeck): Hartmut Schmeck studied at the Universities of Kiel (Germany) and Waterloo (Canada). He got his academic degrees (Dipl. Inform., Dr.rer.nat., Dr. habil) at Kiel. Since 1991 he is a Full Professor of Applied Informatics at the Karlsruhe Institute of Technology - KIT. He is (co-)author of more than 140 publications on advanced algorithms and architectures, in particular on nature-inspired methods in optimisation, algorithms for reconfigurable architectures, and on self-organising, adaptive systems applied to energy and traffic systems. He has been program and conference chair for numerous international workshops and conferences (a.o. RAW, ARCS, IFIP BICC 2006, 2008, ATC 2009, ICAC 2011, D-A-CH Energieinformatik) and coordinator of the German priority research program SPP 1183 on “Organic Computing”. As a principal investigator of several cooperative projects in various funding programmes he is pushing the development of intelligent systems in tomorrow's energy systems and for electric mobility, shaping the new discipline of "Energy Informatics", in particular as a director of the FZI Research Center for Information Technology. In 2016, his achievements were honoured with the Heinrich-Hertz Prize from the EnBW foundation. Abstract: Autonomous driving is in the spotlight of both scientific research and industrial development. With worldwide constantly growing traffic volumes, the challenging task in putting self-driving vehicles onto the street is to cross the chasm between high system availability and low to zero malfunction rates, even in dense traffic and complex situations on the road. Developing software functions for driver assistance and vehicle safety for autonomously driving cars requires the traditional developments processes and methods to be revised. In this talk, a novel and promising development approach is presented. The combination of use case based requirement specification, algorithm development with machine learning techniques and both simulation based and real-life testing yields an agile yet sound software development framework for autonomous driving functions. Additionally, some thought-provoking impulses are given on how to achieve a high level of system reliability by exploiting the capabilities of virtualization at early development stages. Curriculum Vitae (Dr. Frank Keck): Frank Keck was born in 1973. In 1998, he received a diploma degree in Physics from the University of Kaiserslautern, Germany. From 1999 to 2002 he was a PhD candidate at the Chair of Theoretical Physics at the University of Kaiserslautern, Germany and was awarded a doctorate in 2002. In 2002 and 2003, he worked at the Physics Department at the University of Kaiserslautern, Germany in a postdoc position. In 2003, he joined the AUDI AG, Ingolstadt, where he was developing car safety algorithms for crash, pedestrian and rollover, occupant classification systems and advanced (foresighted) safety systems until 2009. 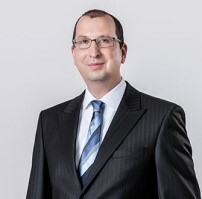 From 2009 to 2015, he was CEO of Automotive Safety Technologies GmbH, Gaimersheim, Germany and in January 2016, he held the position of the Integral Safety Manager at PSW engineering GmbH, Gaimersheim, Germany. Since February 2016, he is CEO of Zukunft Mobility GmbH – formerly IEE Sensing Germany GmbH – which is a company of ZF Friedrichshafen AG. His experiences and technical interests cover car safety, integral safety systems, advanced driver assistance systems, machine learning, data mining, mathematical and physical modelling.